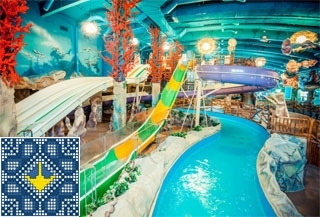 Aquapark Dream Island is one of the largest indoor aquaparks of Ukraine with an area of 20 000 square meters and complex of pools, water slides and rides, baths and saunas, water bars and restaurants. Update! Aquapark Dream Island is closed on 22.04.2019! In the aquapark present the entire range of services for children's entertainment: water slides, attractions, fun animation, thematic programs with the participation of fairy-tale characters, exciting quests, children's menu and service of photographer. A parent can order animation services for child on holiday or birthday as well as individually. 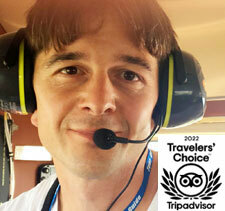 Animator is a person who help you and your child get the most enjoyment during stay in the aquapark. The result is positive emotions and children's smiles. Animators have experience of children's animation in the water and easy transform into well-known fairy tale characters that impress the youngest guests of the aquapark. The water in pools of Aquapark Dream Island conforms to sanitary epidemiological standards of Ukraine and international norms. In order to maintain its transparent and crystal clear use following technologies: removal of iron from water, softening, disinfection and water purification, filtration, UV disinfection methods, water purification by best reagents of European manufacturers. For children's meal it is good to visit Restaurant "Didgeridoo", Aqua-Bar "Hakuna Matata", Bistro-Restaurant "Bungalow" where children have a whole showcase of desserts, cakes, fruit and pastries, Sushi-Bar and Pizza Restaurant "Safari". The chefs will prepare the most favorite and incredibly tasty meals for children. If a child has a birthday animators will pay maximum attention to birthday boy or girl and guests during a small feast. At the same time parents can arrange a holiday for themself fully relax in restaurants absolutely not worrying about children because animators are surrounded with attention and care of each child.